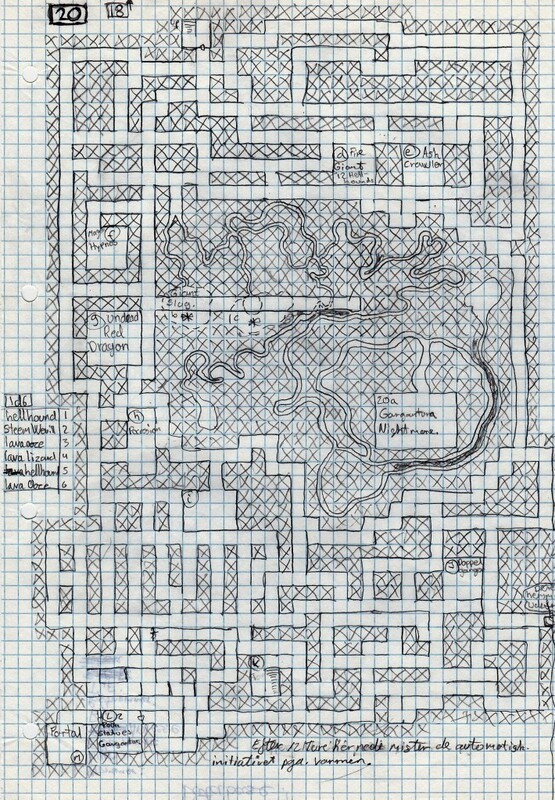 Apparently my map making skills were advancing as i appear to have blacked out the area surrounding dungeon areas, although it was a simple technique of crossing out the squares it did do the job of making the map more pleasantly to look at. I also seem to be moving away from the first map design, where I had lots of rooms mashed together, to a dungeon design with less rooms and more maze like hallways. I can’t say that I remember drawing these old maps, so it’s guesswork as to why I did as I did. But I have noticed that “gargantuan” monsters have appeared a few times in just 3 maps. The incorporation of more natural looking tunnels appears again on this lvl as in lvl 2 map. So here we are at lvl 3 (map3), where we continue deeper down the mountain by a small staircase from lvl 2. You might notice that this GM Nostalgia map has room content listed on it instead of on a seperate list beside it along with a random monster table. Since I’d must have needed the monster books anyway, it must have been easier to organise my room content this way and keep number of pages to a minimum. Be sure to let me know what you think, should you find a use for this yourself I would love to hear more about it! Enough with the chatterbox, here is the 3rd level dungeon map of the Lich’s Pet Dungeon my very first home made dungeon! 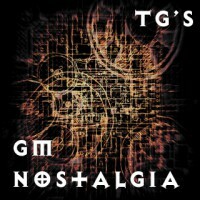 Previous post: GM Nostalgia #6 – Lich’s Pet Dungeon lvl 2 – Room Stuffings!